The parenting (mis)adventures of a busy Momma to 2 amazing kids! Parenting with love, laughter and lots of band aids! 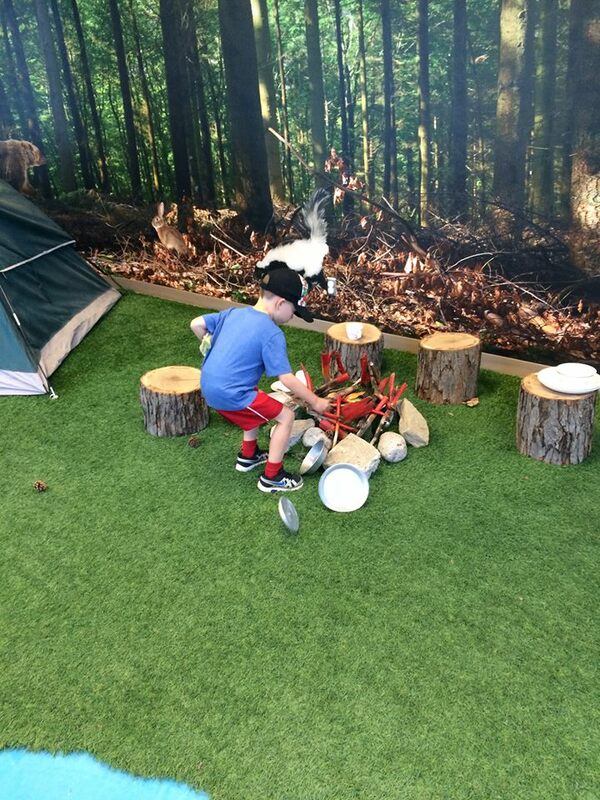 Have you discovered the Children's Discovery Centre yet? We did on a recent family vacation to Toronto and it was simply amazing! 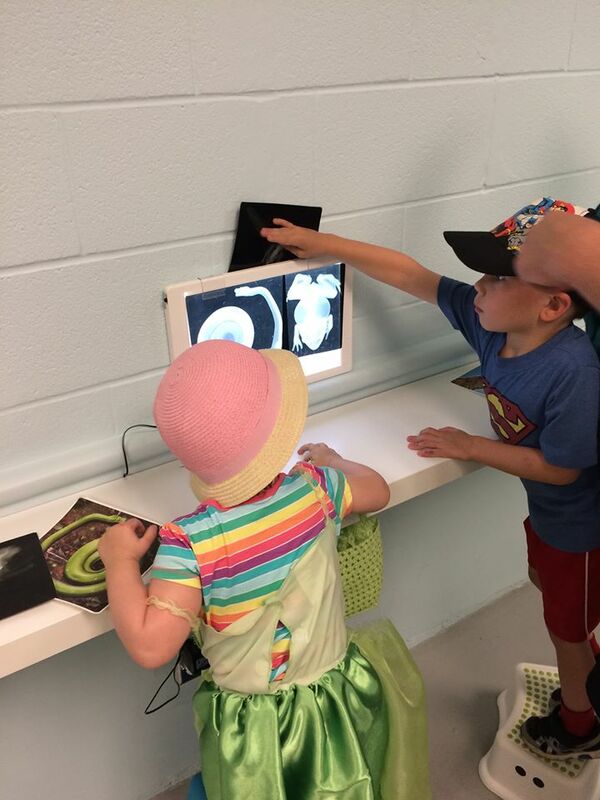 Located at 45 Strachan Avenue, the Children's Discovery Centre is very easy to get to by car or on public transit. 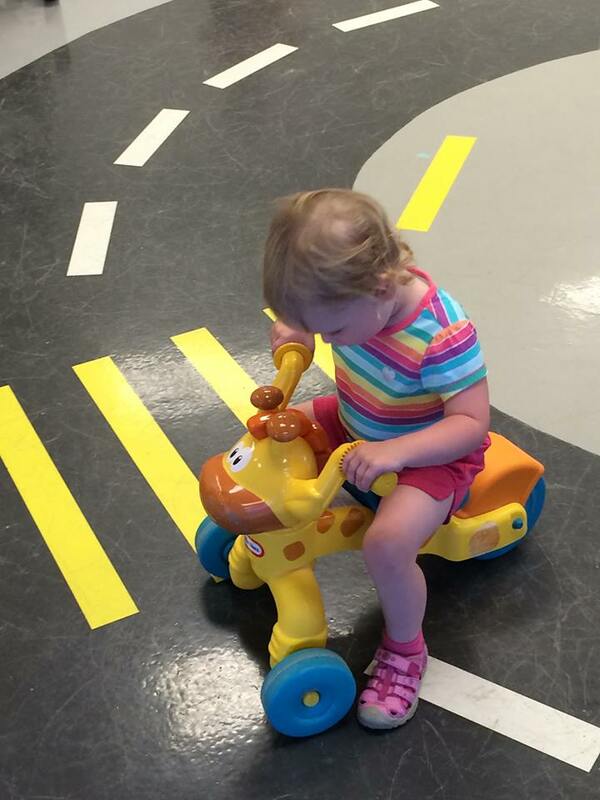 It is a children's museum where your little ones 6 and under are encouraged to touch everything! They play, dress up, create, get dirty and use their very vivid imaginations to discover the world around them. 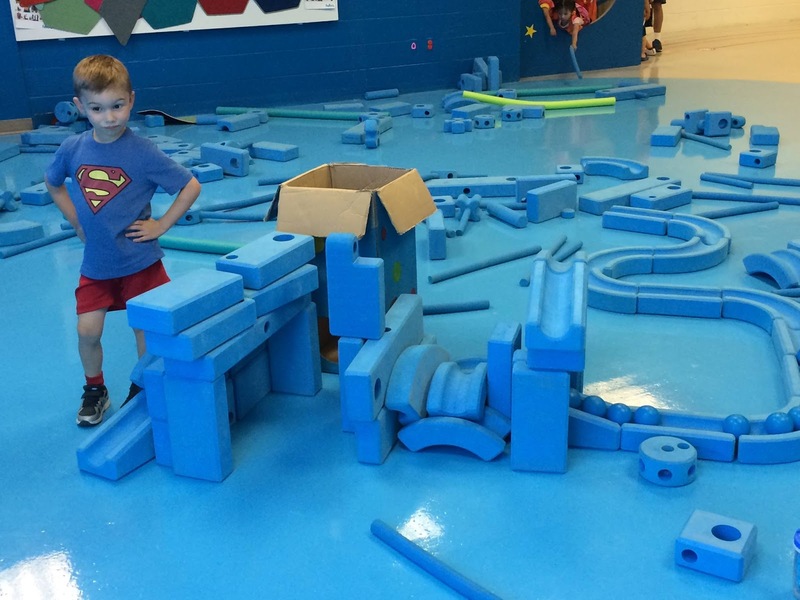 Their mission "is to inspire kids through creative play" and that is definitely accomplished within this incredible centre. 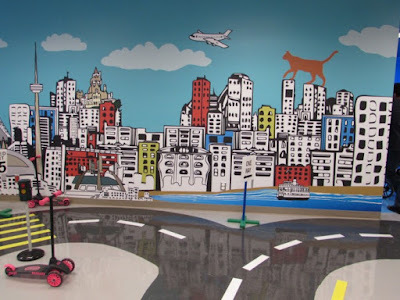 It is a 20,000 square foot indoor play facility that houses 10 Discovery Zones- The Art Hive, Imagination Station, Mini City, Campground, Storyland, Boom Room, Pet Vet, Eat Street and First Discoveries. We visited the Children's Discovery Centre on a sunny Tuesday afternoon. There were a few other families and a small group from a day camp but it never felt crowded or busy. It is designed to feel open and children can move freely from room to room. It makes watching multiple little ones very easy. 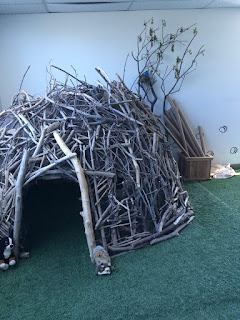 I loved watching my kids play and explore. They went from room to room with utter excitement. Each Discovery Zone brought new squeals of delight. My son quickly exclaimed that this was the best day ever! My children each have their own unique personalities and thus have different styles of play. My son loves to build and create while my daughter likes to pretend and imagine so each one had a favourite Discovery Zone! Every day the Children's Discovery Centre offers daily programming and activities! We enjoyed an alphabet scavenger hunt the day we dropped in. Letters were hidden within each of the Discovery Zones and my son had to find them! He loved it and enjoyed getting a sticker as a reward at the end for finding all the letters. I loved that he was learning and didn't even know it! We started our adventure at the Children's Discovery Centre in the Imagination Station. 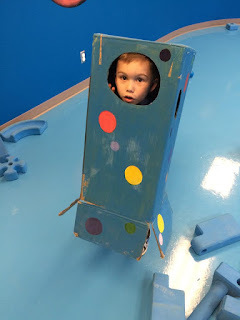 The Imagination Station- is space themed and my son quickly began building and playing with Feltro, an interactive construction tile system made of magnetized felt and the kid-sized large foam blocks that lock together. He built a space city and wore a rocket ship! 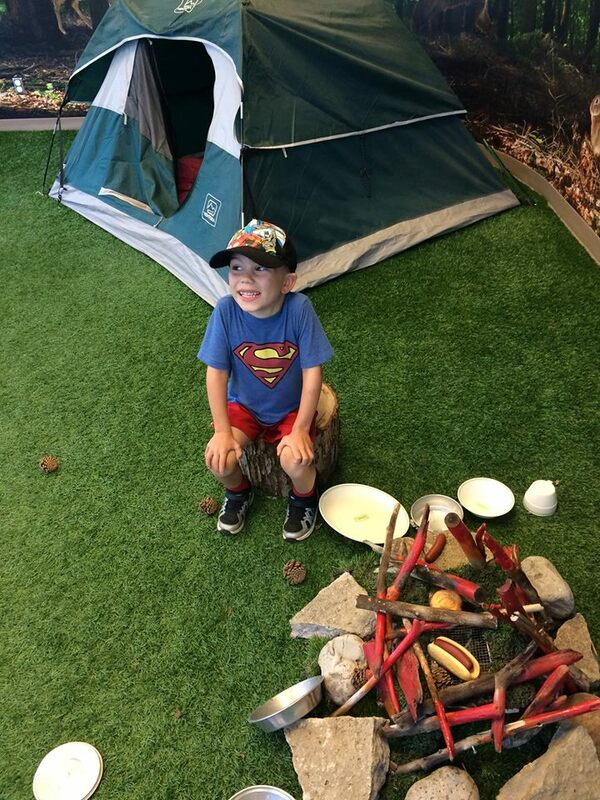 The Campground- includes a beaver dam, a canoe, a tent and a build your own tee pee. My kids loved pretending they were camping! It really felt like you were in the middle of the Canadian Wilderness. They discovered bugs using a magnifying glass and had a pretend camp fire. 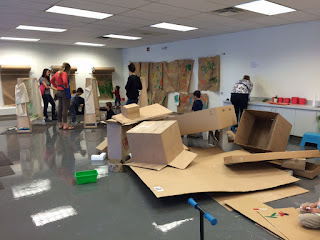 The Art Hive- Can you say creative mess? My kids loved this Discovery Zone! 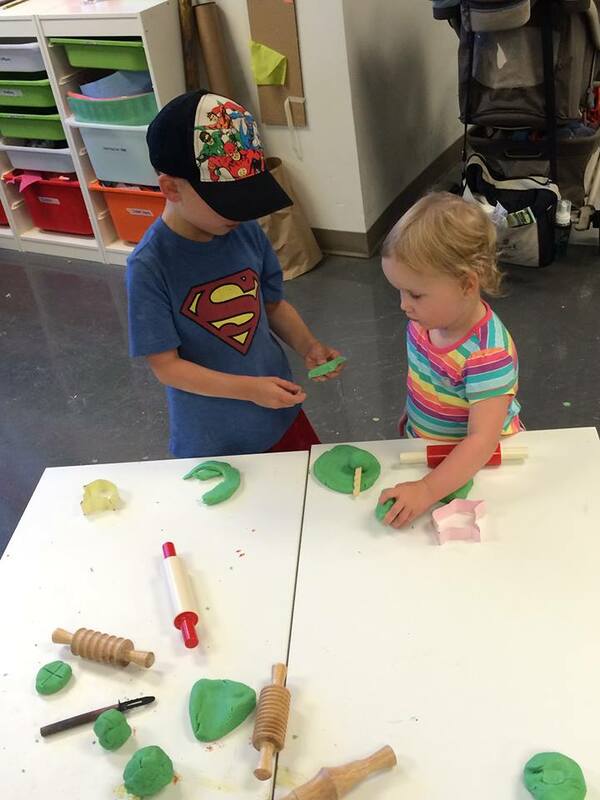 There is a squeegee wall, painting, crafts and clay! They created, they got dirty and they loved it! 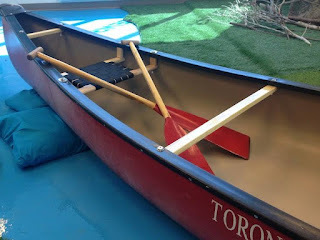 We were lucky enough to visit during the Pan Am games and the daily activities and crafts were centered around the games. My kids and I made a flag that my children declared represented our family! 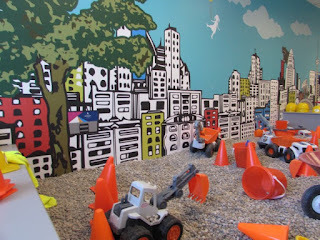 The Mini City- This was a favourite of my daughter's. 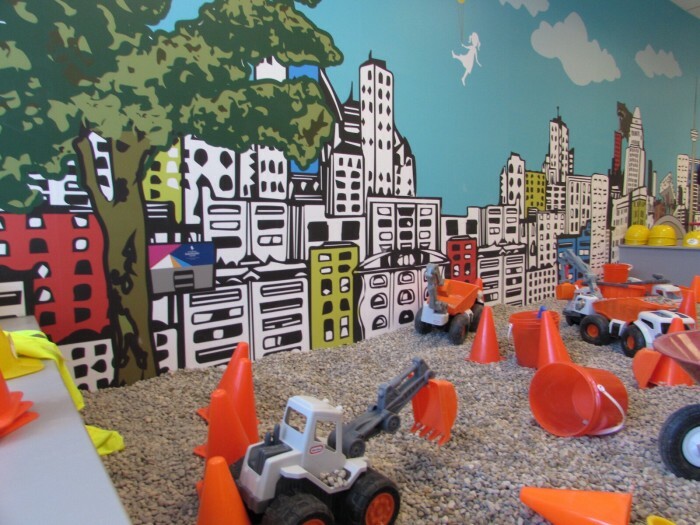 This area consists of roads and a gravel pit, safety gear and bikes and other vehicles for kids to ride through a mini version of downtown Toronto. We spent a lot of time here as it is adjacent to the Imagination Station (my son's favourite Discovery Zone) and my daughter who is 2 thoroughly enjoyed trying all the different bikes, scooters and ride on toys. 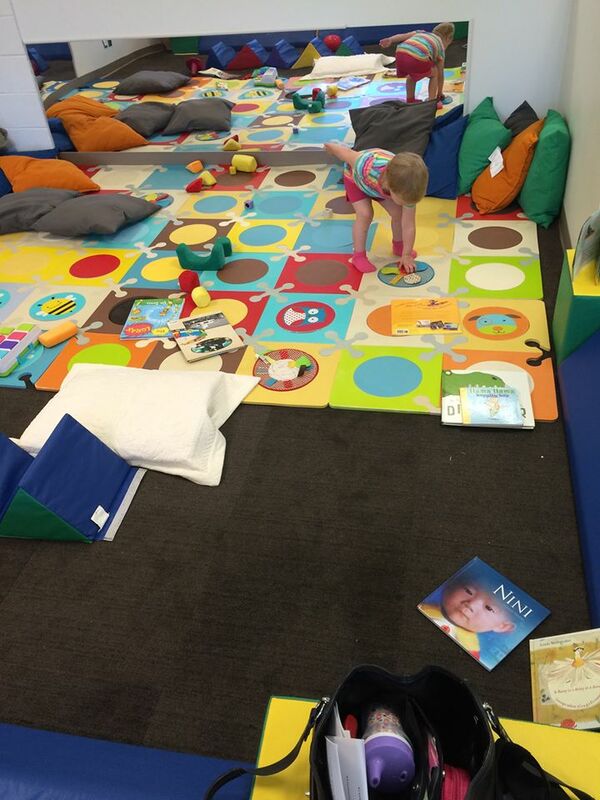 Storyland- This Discovery Zone was designed to create a warm and cozy area to cuddle and curl up with a book! 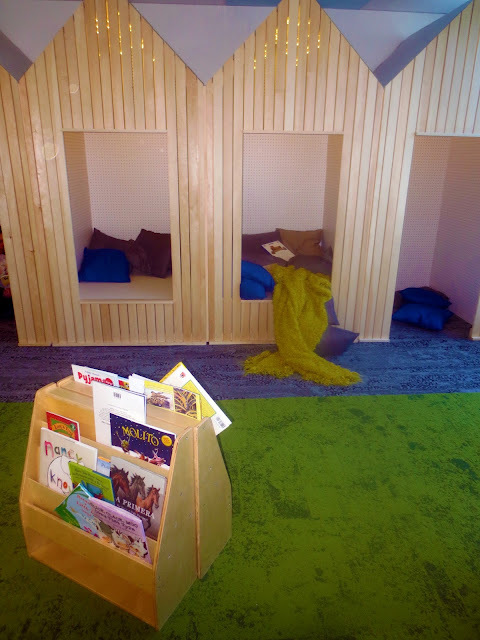 There are little nooks filled with lights and pillows for getting comfy or a large bright area to discover letters. This was by far my favourite Discovery Zone. As an avid reader I would love one of this little nooks at home. There is a wonderful collection of books for a variety of ages. So be sure to take a moment and read a story when you visit! Make Believe- This area is filled with costumes, puppets, a stage, mirrors and props. 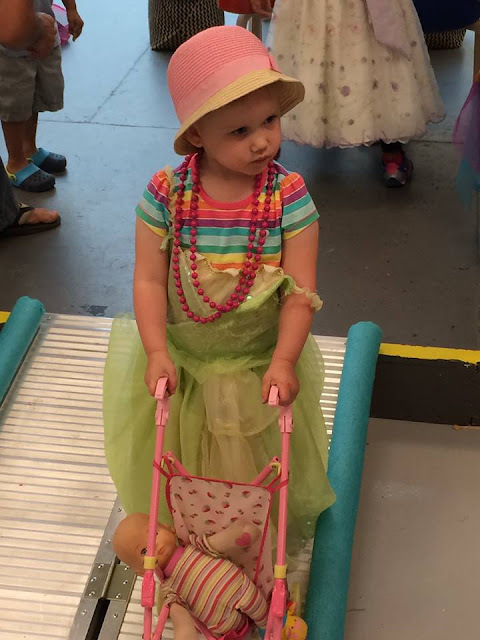 Your child can dress up and put on a show. This Discovery Zone was a favourite of both my children. My kids loved dressing up and making up characters. The selection of dress up items is fantastic and they each had a hard time choosing their outfits! We loved sitting down to watch them perform. Boom Room- This Discovery Zone is for making noise! Touch, bang and shake a variety of household items. This is every child's dream- make as much noise as you want while banging and clanging! I loved that it was made up of items you would find in your kitchen. Pet Vet- This is mini version of a veterinarian's office. 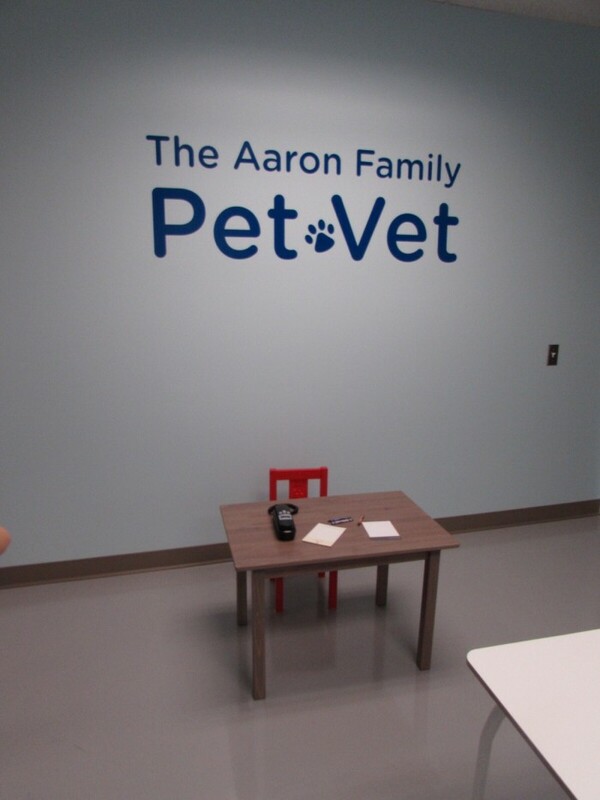 As a veterinary technologist myself I was very impressed. My kids loved looking at x-rays of a variety of animals and seeing their bones. There are mini doctor coats and stethoscopes all intended to teach kids how to keep their family pet healthy. 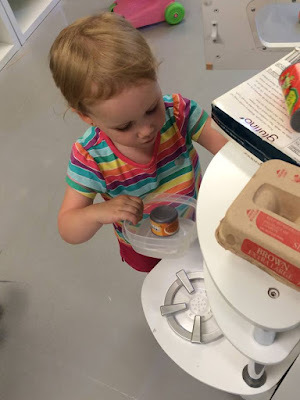 Eat Street- My daughter could have spent hours in this Discovery Zone! It is a mini-grocery store with shopping carts and produce PLUS mini-kitchens with stoves, pots, pans, utensils and chef hats and aprons. It is also a great tool to teach our kids about healthy food choices and how to eat a rainbow. So have a seat at one of the picnic tables and let your little chef whip you up something delicious! First Discoveries- these areas are designed for the youngest visitors. They are enclosed and shoe free so babies can safely discover the world around them. 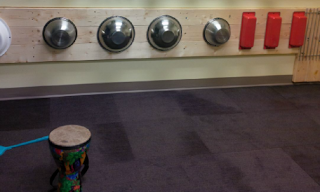 Foam mats, bright colours and murals will help to encourage movement and exploration. There is a quiet area to feed your baby, stroller parking and lovely areas to change your children. 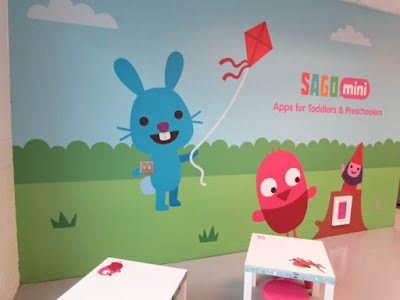 You are encouraged to bring your own healthy snacks & enjoy them in the Sago Mini Pet Cafe. The Children's Discovery Centre is a very bright, clean space staffed by wonderful people who love to engage with your kids. It is very reasonably priced and there is lots of parking on the street. They are open daily September 30th from 9:30 am - 4:30 pm including holidays. 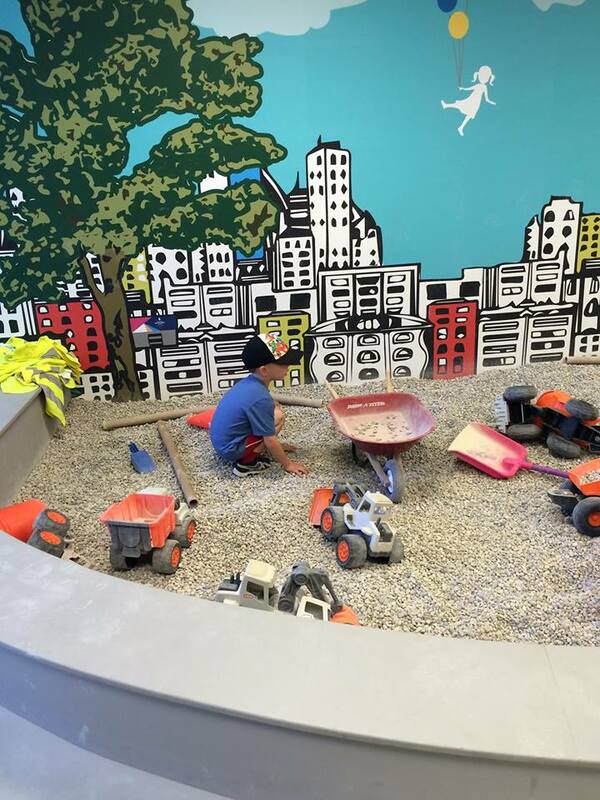 Check out the Children's Discovery Centre on Facebook and Twitter to check out the daily activities and to find out what's happening at the Kids Discovery Centre. We loved it too! 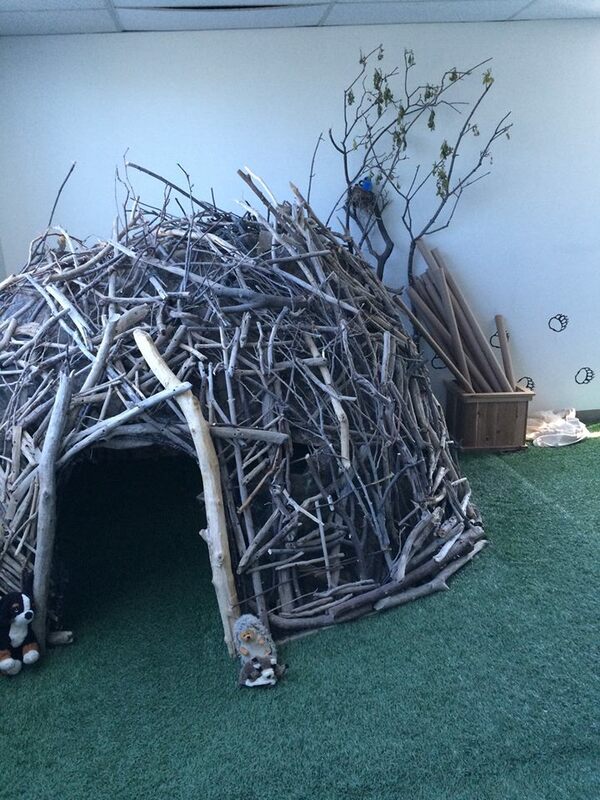 Such a fantastic play space!